This Recognition Plaque can be used for many purposes. It is 5x7 or 8x10 with an engraved Gold or Silver Plate - customized for your event or recognition. *Say something nice (we'll format it to look awesome). Need to upload an Image/Logo. or a file to tell us how you want it? 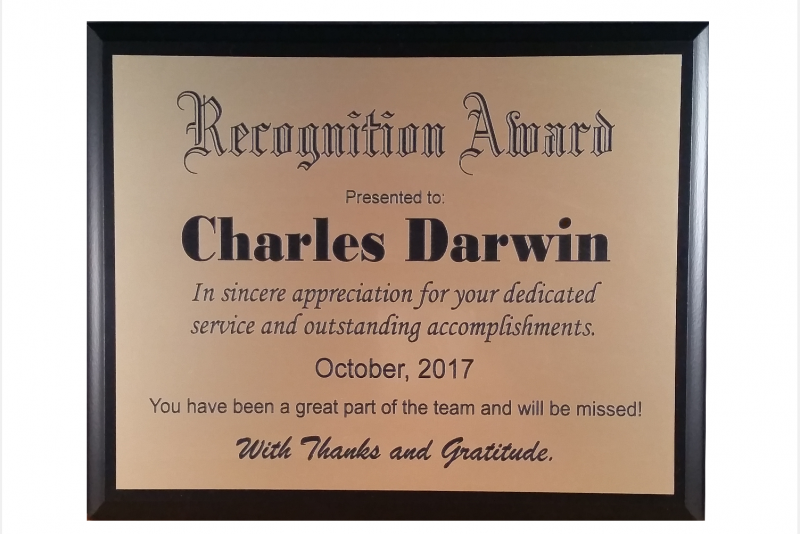 This Recognition Plaque can be used for many purposes. It is 8x10 with an engraved Gold or Silver Plate - customized for your event or recognition.